It took me quite a few chapters to really get in to this storyline. 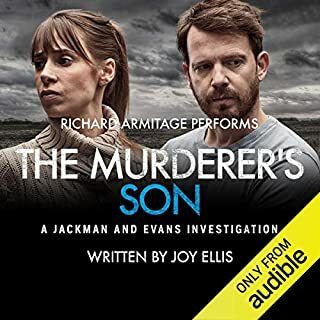 It was confusing to start with but as the story built I thoroughly enjoyed listening to the narration. It's a unique way to absorb a book as opposed to reading one, and I am enjoying the experience. The narration was great. I wouldn't hesitate to purchase another book narrated by George Guidall. 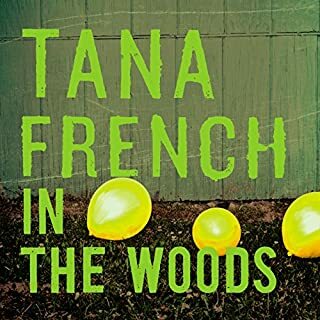 was good to listen to the first book in this genre from Tess. 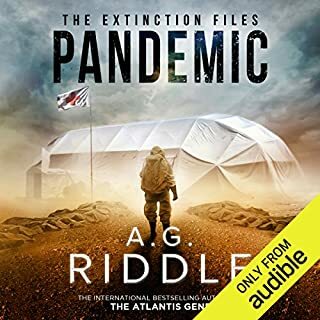 can't wait to listen to the next book! Suspense, betrayal, twists and cliffhangers. This book has it all. I listened to this book non-stop for HOURS. loved it well written and well narrated. 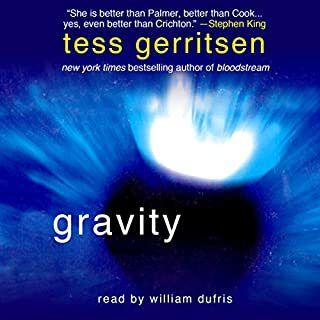 will definitely read more from Tess and more from this narrator. Listened evefy spare moment I had!!!! 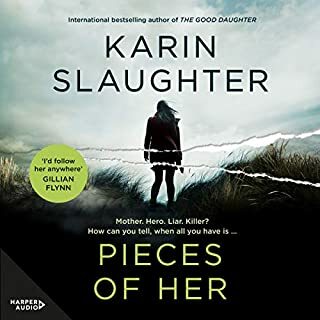 This was one of the best thriller books i can remember reading in a very long time. Absorbing and hard to forget i wanted to start at the beginning as soon as i finished it. 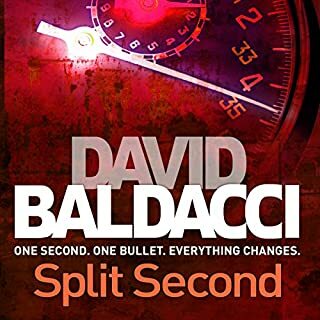 Great pace to the story written VERY well. Thoroughly recommended. STORY (medical thriller) - Abbe is a young surgical intern with a bright future and a great guy. Everything is going perfectly until she starts to wonder about certain things going on in the operating room. The publisher's summary doesn't give much away, so I won't either. I'll just say that some of this book takes place on an ocean-going vessel, but most of it takes place in and around a Chicago hospital. Abbe has stumbled onto something that's as dangerous as it is suspicious. As she struggles to learn what's going on in the OR, she is pressured by those who want to keep things secret. Her career and her very life are at stake. There's interesting medical situations and lots of suspense in this book. I thoroughly enjoyed it. PERFORMANCE - George Guidall does a very good job reading this book. OVERALL (Actual rating 4.5) - Moderate violence and some cursing. Recommended for mature listeners(male or female) due to the subject matter. I am a big fan of medical thrillers. I love the Kay Scarpetta series. 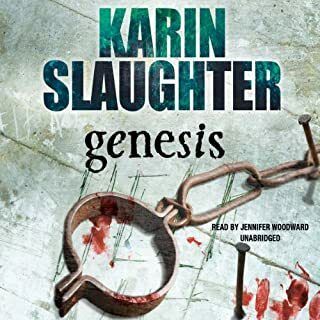 I realize that there is some suspension of disbelief necessary to enjoy this genre, but this book was so far fetched that I found myself rolling my eyes several times. 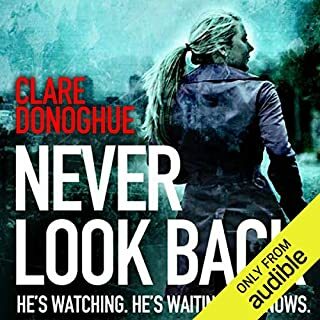 Although the narrator was not bad per se, he seemed like an akward fit for a female protagonist. I just could not reconcile the mature gentleman's voice with the 28 year female character he was trying to capture. 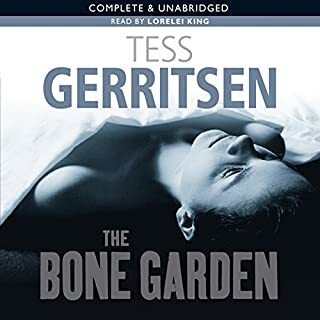 I was enthralled by Gerritsen's The Bone Garden, and would hope to see another historical/medical thriller like that from her in the future. Harvest just fell short of the expectations I had built up after being so impressed with The Bone Garden. This was a great book. Having been in the medical field as well as being involved with organ and tissue donation I was very interested in this story. I liked that the medical info was fairly accurate for the most part. There were a few things that made me think "that isnt right" but if you arent in the medical field you would not likely even notice them. The possibility of this type of organ donation scam is often discussed by people that dont have any idea of how things work in this country. I cant believe that this could actually happen here but the idea of it happening makes for a great story. Overall I thought this was very well written and am definitely going to listen to more from this author. My only issue with the narrator is that in some parts of the book he was just too quiet. There were parts that I had to go back and turn the volume up for a minute. 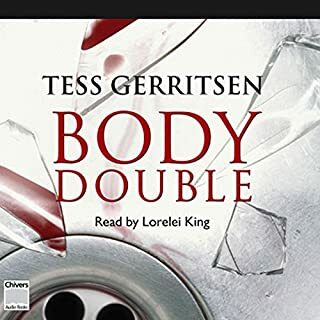 This was my third Tess Gerritsen novel and I like her style. The details are accurate without going into too much depth so it stayed interesting. I was afraid it might get too gruesome, but she takes you to the edge without going too far. The character development is great and the narrator excellent. You can really visualise what is happening. 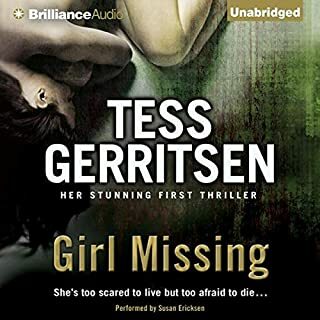 Gerritsen has soul and she pours a little of it in each of her books. This was her debut novel of a career that has skyrocketed. I believe it was also the first book of hers I ever listened too and the one that got me hooked on her writings. 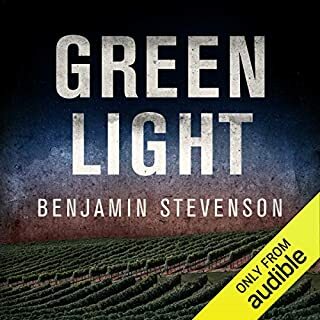 Written in 1996, I was glad that Audible made it possible for me to go back and listen to it again. I found I enjoyed it even more the second time around. Most of Gerritsen's writings are not as scary as King or as crazy as Koontz, but they are on the edge. They seem unbelievable, but than again, just maybe? Like King and Koontz, she is sees, hears and feels and she knows how to write, so you do to. Gerritsen always entertains, you will not be bored. Guidall is about as high caliber narrator that you can get. Gripping and gruesome. Some think it is unrealistic... possibly.. but, in smaller scales, rather telling. This book kept me on the edge of my seat the entire time!! MUCH better than I expected!! Story stared with two subjects you thought could not be the same story. Kept you guessing and wondering through the whole book.....was a very exciting book, loved it! 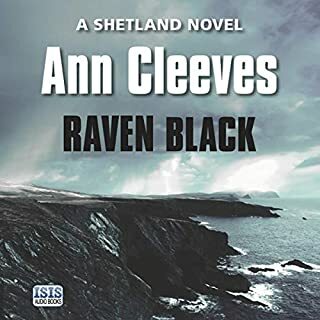 I enjoyed this book immensely - great story line, enjoyed George Guidall's reading of this story, very timely subject and just a very entertaining captivating and great book. 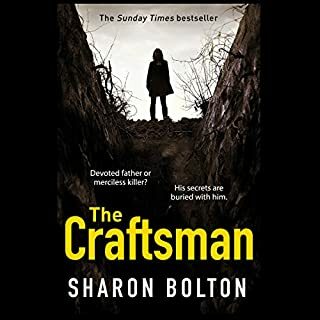 I first came across this author with her enjoyable Rizzoli and Maura series, which combine detective fiction with a medical slant. Harvest is a bit different in that it has a heavy dose of medical detail with graphic accounts of heart surgery, so if you're squeamish about blood and guts: be warned! A detective does come into the story in the later part of the book. It's an alarming and intriguing story about the subversion of a heart transplant team. The narrative centres on a young woman medical intern who joins the transplant team as a trainee and thereafter her nightmare begins. The story is full of surprises and, though not her best book, is certainly one that kept me listening. 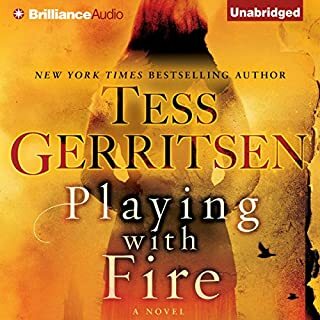 This is a great listen from Tess Gerritsen! The characters are well drawn and the plot will have you on the edge of your seat. Beware if you listen and drive! The plot contains some thought provoking themes regarding organ transplants and donations too. It is read clearly and thoughtfully and you are completely drawn into the story and the characters' lives. 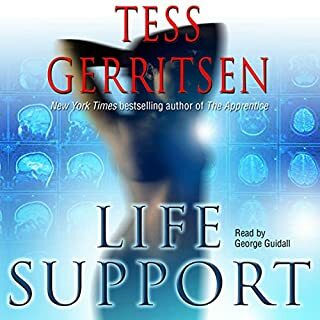 Although the book is very medical term based the story is good If you like Tess Gerritsen books then although this wouldn't be the first I'd recommend it has a really good plot and twist to keep you listening. 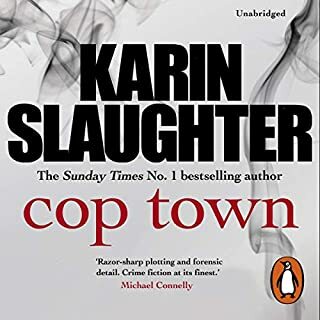 A book that kept me gripped and staved off the boredom while waiting for delayed planes, without having to read through bleary eyes! Apart from the twists and turns of a crime story, it was appalling to think that, in reality, there could be unsuspecting organ donors. Good read, kept me wanting to listen all the way through - a bit predictable, but still very enjoyable. Its a brilliant story line- credible and scares you silly that this could happen. Only one criticism its too long. It procrastinates and if it was shorter it would be sharper and would of impacted harder on the listener. To be honest I first chose this book I had a £10 voucher and didn't want to spend any additional money. A few years ago I had read a book of Tess Gerritson in the Rizzoli series and thought it was okay, so I wanted to try an older book.... 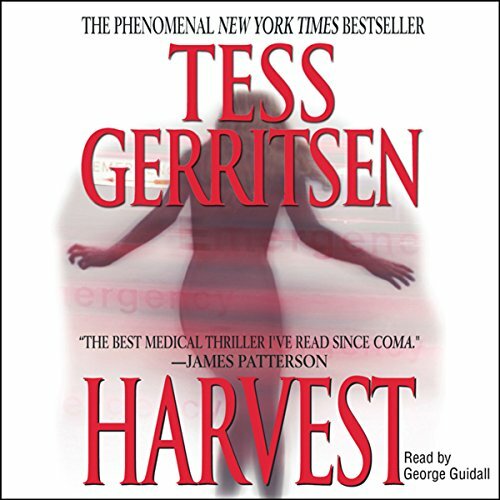 The story of harvest is gripping and interesting (I just thought sometimes in the beginning, Abbey is a little naive, about the consequences of her actions, that doesn't fit whith a surgeon...) and problems with donor systems is still a very difficult topic.